Jindo Island Ssanggyesa Temple in South Korea will offer you an excellent exposure and enable you to gain the right perspective into Korean Buddhism. This religion has made an essential influence in South Korea History and Culture. While touring the country, you will come across various relics of Buddhism and its heritage in the buildings, sculptures, paintings and handicraft works doting the city. 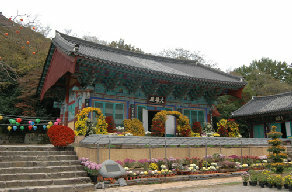 Jindo Island Ssanggyesa Temple was constructed by the Buddhist monk Doseonguksa in 857. located between two valleys hemmed by Cheomchalsan Mountaing to the north, this temple was refurbished by Ui Woong in 1648. As you stroll through the shades of trees towards the garden of cherry trees and persimmon trees, you will be impressed by the green sight. Even just 10 minutes of walk behind the temple is a dense forest that spread across three acres. Even this forest is listed as a National Monument which has a rare treasure of 50 kinds of trees. 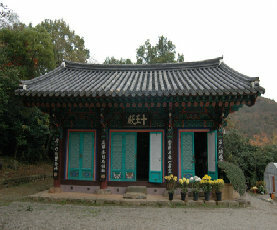 To the South of the Temple, you will spot Unrimsanbang, the home of the renowned artist Heo Yu of the Joseon Dynasty.